Sterling silver kitty cat silhouette charm earrings are adorable and a sweet addition to your earrings collection. 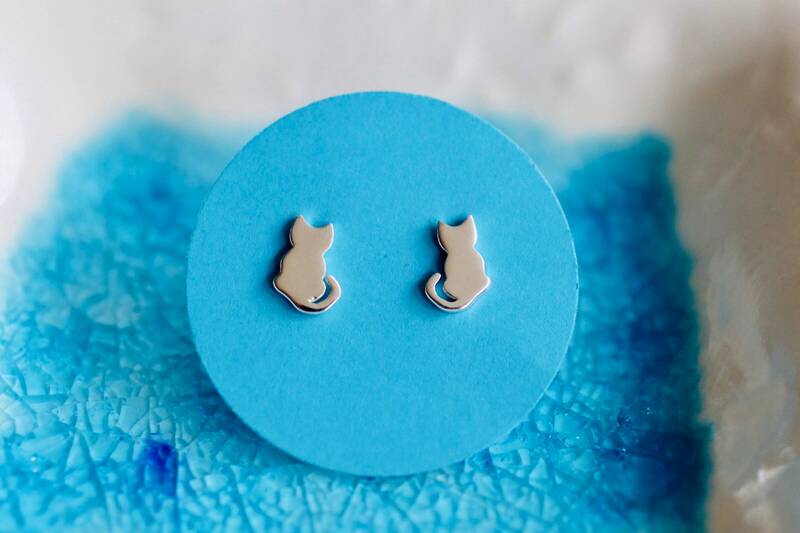 Sterling Silver stud earrings are perfect for everyday wear. These are small and measure 7mm. They are so CUTE! Love these - super cute! Thanks so much!